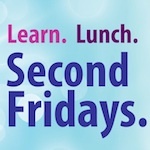 “Second Fridays” for the next three months will focus on the Theology of Diversity. On January 11th Michèle Barr and Virginia Platt got the ball rolling with their reflections on practical ecumenism. Michèle Barr, a diaconal minister in the Evangelical Lutheran Church in Canada, has lived out her ministry through leadership music and worship in Winnipeg. As well, she has worked with pre-school children in the inner city. For almost a decade, she has been actively involved in the Week of Prayer for Christian Unity. Virginia Platt’s first active involvement with ecumenical social justice work began in 1978, when Canadian Churches, through Ten Days for World Development, endorsed the boycott of Nestle products because of the corporation’s aggressive promotion of infant formula in developing countries. She has served as staff person for the regional Ten Days group and a volunteer with KAIROS, the successor to Ten Days and other Canadian church-based social justice coalitions. Ecumenism came naturally to her as she grew up with a Methodist mother, Presbyterian father, Episcopalian cousins, and Evangelical United Brethren grandparents. Presently she is a member of an Anglican church in Winnipeg. Download the Jan-March Second Fridays brochure.